A race car named desire. I can definitely be described as an aggressive driver, but despite my penchant for speed, I have not had an accident or a ticket in a dozen years. The combination of my cat-like video game reflexes, a bit of luck, a deranged belief in my own immortality and a total lack of concern for my filthy, rusted car converge and bless the streets with a driver of quick, nimble grace. I like to tell my passengers that I don’t drive fast, I fly low. However, I can safely say that I have never flown so low as I have in Need For Speed: Most Wanted for the Xbox 360. 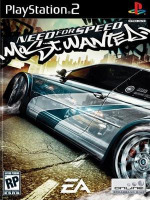 With lenient racing physics, an open city to explore, and thirty-two indestructible street racers, Most Wanted is one of the best pick-up-and-instantly-have-fun games available for Microsoft’s fledgling beast. Sim fans will be better off driving over to Gotham, but this is where the wild party is. [image1]A recent immigrant to the city of Rockport, you have arrived with little more than your tricked out BMW, the shirt on your back, and a desire to drive way too fast. The local illegal racing syndicate, led by (and not named by his mom) Razor, challenges you to a sucker’s bet, secretly sabotages your car, takes your pink slip, and leaves you a poor grommet by the side of the road. Like Mad Max, you must make him pay. Starting with the lowliest of vehicles (all of them more valuable than my fond rustbucket) and the help of a mysterious hottie named Mia, you must work your way up the local racing hierarchy known as the "blacklist." Win races to win money and pink slips so you can afford better cars and beat the best. It’s a plot that would fit perfectly into the grammatically challenged Fast and Furious films. In this case, however, it works out much better than the movies. The plot is told through FMV cutscenes – as in, live actors who accidentally ham it up Ben Stiller style – shot in a strange soft-focus cartoon effect reminiscent of Sin City. It all works oddly well; the good parts are good, and the more frequent bad parts are strangely entertaining. As refreshing as it to see live actors in a video game again (R.I.P. Yuri), it pales beside the actual racing. Since this is a 360 launch title, it’s hard to know exactly where the props should go. I’m going to give most off the credit to Microsoft’s new machine and less to EA, because clearly this version is the best of the lot. Hooked up to a proper HDTV, Most Wanted looks amazing. I will nit-pick this in a minute, but it still leaves any current generation system in the dust. On a proper widescreen, it’s an awesome experience. The giant, open city sprawls before you, GTA style, only with ten times the detail. You might not be able to get out of your car, but the street racing is twice as visceral. The highly customizable rides are simply gorgeous: thirty-two real life vehicles, from VWs to Lamborghinis, all with uncountable visual and performance upgrades. The street environments are littered with objects that go flying when you hit them, from garbage cans and debris to of course other cars, which affect your car far less than they should. This is arcade racing, after all. [image2]And underground street racing is definitely the meat of the game, and it comes in several varieties. Classic Sprint races pit you against three other cars, as does Elimination, in which you don’t want to end any lap in last place. The Drag races give you some help with the steering, so you can concentrate on shifting gears perfectly. Tollbooth races are basically classic solo time trials, and Speedtrap races don’t care who crosses the finish line first, instead declaring as winner the driver with the highest accumulated speed as recorded by several radar guns at points along the route. Even more fun is evading the police, who will sometimes discover one of your illegal races. NFS: Most Wanted is a throwback to the great Hot Pursuit in this sense, and it works well. Standard patrol cars are easy enough to ditch, but as your car generates more heat, the cops will continue to turn up the volume, setting up roadblocks, spike traps and even bringing out elite pursuit vehicles and the uber helicopter. Get caught and it’s off to jail for you and the impound yard for your car, so look for the ‘pursuit breakers’ on your map, jumps the cops won’t follow or objects you can knock over to block the path behind you. Then it’s time to lie low for a while until they give up the search. It’s really done well and provides tons of easy excitement. The online portion of the game works well through Xbox Live, but clearly the programmers were concentrating on the game’s lengthy Career mode. You can try any of the race types against some real opponents, and best of all, there’s an online version of the blacklist to climb. It’s functional, but I would have preferred some beefier new modes, like a group effort to ditch the cops where nobody wins unless you all get away, or perhaps a mode where several people play as the police, trying to pit some joker from Idaho who thinks his Mustang is so cool. No matter how you play, it looks great. Credit is definitely due to EA or Microsoft, or more likely both, providing one of the better looking launch titles. Outstanding street textures, terrific lighting effects, a fully streaming city and an absolutely blazing sense of speed provide a genuinely pretty experience. That does not mean, however, that Most Wanted is all smooth roads and no potholes. While very impressive, the wide-open city of Rockport loads on the fly which leads to a bit of stuttering and stammering as you race around at 150 MPH. It’s pretty minor, and for the most part the whole shebang is a beauty. [image3]Which, unfortunately, only makes the total lack of replays more disappointing. Considering the amount of carnage left in your wake as you duel the cops through traffic, the game just begs for replays, but no go. The sound definitely moves, though, with the screaming of engines surrounding you with their Dolby rage. The onboard music features some mediocre metal and rap tracks that soon get repetitive, but the 360’s dashboard makes it easy to tune in your own radio dial. Advertising still abounds in this most recent NFS, although it’s been toned down a bit. Your buddies are constantly text-messaging you via a certain mobile phone company who did not pay us to be mentioned here, and a blimp bearing the logo of a certain member of burger royalty slowly tours the city. And I can hardly complain. This review is brought to you by whatever companies were smart enough to buy those ads up there and to the right. I just hope you didn’t get one of those damn pop-ups. I hate those. But I’m loving Need For Speed: Most Wanted. It’s a great combination of Underground and Hot Pursuit, and it’s just one hell of a lot of fun. To think: if only I owned some of these virtual rides in real life…meh, who am I kidding, I’d drive them like my grandmother. I’d be too afraid of scratching the paint.